We are honored to share a guest post today from one of our newest board members, Katie Dudley. Katie first became interested in natural birth as she prepared for the birth of her own child and attended our founder, Donna Ryan’s, birth class. Our newest student manuals include her contributions in both exercise and nutrition. They are nothing short of incredible and we are so proud and excited to have her on our team. 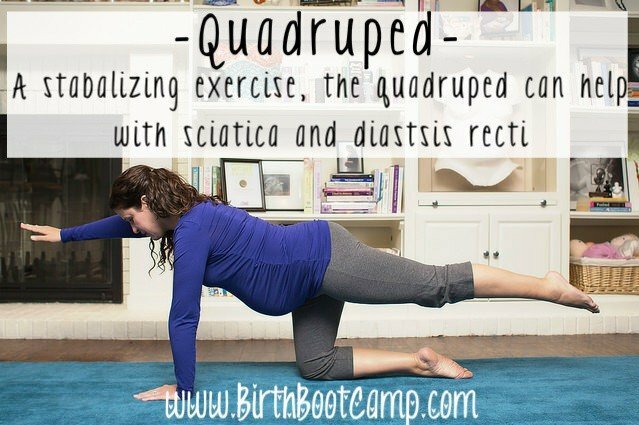 Today she shares three exercises (there are many, many more in the complete Birth Boot Camp class series!) to get you started in preparing for a great pregnancy and birth. One reason we chose Katie as the developer for our pregnancy fitness program is her trust in the female body and its inherent power. We too believe that women are capable of birth and that they are strong! There are many in the fitness industry who believe that pregnancy and birth are very harmful and damaging to women’s bodies and they need to be “put back together” afterwards. With proper exercises before, during and after pregnancy, in addition to phenomenal pregnancy nutrition, we don’t believe this to typically be true. As with any fitness program, seek approval from your physician before beginning, especially during pregnancy. These exercises are widely accepted as safe for pregnant women in general, but (as with everything relating to birth) there are exceptions. Be aware of your body and listen to it. Consult with your care provider if you have any questions. As a personal trainer and fitness junkie, I don’t just love exercise and nutrition; I also believe that just as our bodies are strong and capable of fitness, women’s bodies are also strong and capable of an enjoyable pregnancy and birth. Are there â€œuncomfortableâ€ aspects to pregnancy at times? Yes. The possible months of nausea are not great, the swelling is pretty interesting, we all know about the weight gain aspects, the going to the bathroom throughout the night, being physically out of sorts and many other common pregnancy â€œsymptomsâ€. Pregnancy is a multifaceted experience both wonderful and filled with unique challenges for each of us. A woman’s body goes through a lot of changes, but does it really have to be as physically uncomfortable as many women experience, let alone miserable? I say for many women, â€œNoâ€. I believe we can be proactive in combating many of these discomforts through proper exercise. That was my personal experience, but also, and perhaps more importantly, the experience of countless pregnant women I have worked with over the years. While I did experience months of nausea (not fun), other than that I felt great. I didn’t experience the aches and pains that other women talk about in their backs, hips and joints that I had anticipated before becoming pregnant. Pregnancy can be a joy! I felt good and I felt strong. I had a physical confidence with the extra 45 pounds I was carrying on my body and I really attribute that to being physically active before and during my pregnancy and eating nutrient dense foods. I was on my feet 8-10 hours a day with clients and I focused most of my exercise on my postural health. Making sure my spine and my hips were supported by a strong core can be life changing.Many women complain of lower back pain during pregnancy. There are things we can do about this! Most of that pain is caused by lordosis (rotated pelvis). Many other women also have SI Joint dysfunction, leg cramps, numbness and aching in the hips and legs. The majority of these ailments can be alleviated with appropriate physical activity, massage/myofascial release, chiropractic and stretching. By doing so, individuals create strength and balance in their alignment relieving a lot of unnecessary pressure on their frame. I’ve seen this myself through my own pregnancy and the many women I’ve had the opportunity to work with over the years as well as others my colleagues have trained. It’s a new physical world that we live in. Many of us spend our days sitting behind a desk or at a computer. Others are in the car for work or with their families. These positions can weaken and put strain on our bodies. We just do not have the physical demands as those generations that came before us. Our days are generally not spent foraging food, washing clothes by hand, and carrying water on our shoulders. Most of us have to make a point to get physical activity to strengthen our bodies. And that’s ok! We can do it! Don’t know where to begin? Here’s a great place to start. These are a few of my favorite specific strengthening exercises for preparing the body for a comfortable pregnancy and a great birth. One of my favorite core exercises for everyone is bridging. Bridging is utilized to strengthen the glutes, hips, pelvic floor, and core. It is especially beneficial for individuals who spend a significant amount of time sitting. This particular exercise helps to lengthen those muscles that are contracted during sitting and help strengthen the muscles that are relaxed in that position. Women and men that sit often have weak glute muscles and have a difficult time activating them which can affect the knees and lower back. Bridging is also advantageous for those that have an anterior rotated pelvis, by strengthening the hips to stay in a more neutral position. 1. Lie on back or stability ball with knees and feet straight and in line. 2. Tuck pelvis to neutral position, keeping shoulders relaxed and spine straight. 3. Squeeze glutes and pelvis up off floor keeping core tight and knees straight. Pause. 4. Slowly lower down to starting position and repeat. *Try 2-3 sets of 12-15 repetitions 3 times a week. Squatting is one of the most functional exercises people can do. Individuals use it almost every day whether bending down to grab something out of a cabinet or to sit on the floor. It not only supports movements in everyday life, but can also help women achieve an easier birth physically and support their bodies throughout the pregnancy. A squat strengthens the glutes, hips, core, feet, back, pelvic floor and the stabilizing muscles around knees. People with previous injuries are often afraid to squat, but when executed and practiced with proper form, squatting can actually help prevent an injury from recurring. The squat pictured above is a deep birthing squat. Not all women will be able to perform this easily or with proper form the first time. Pay attention to your body and listen to it! Consult with your care provider if you have questions. More specific thoughts are also found in your student “Field Manual” and the videos in your class. The deep squat was once a natural and everyday movement for women, now we often need to “re-learn” it to prepare for birth. But be assured: squatting is an incredibly important position for pushing with the ability to shorten and speed the second stage of labor. You don’t want to learn it in the heat of birth. Squatting isn’t a competition! Go to a comfortable depth for you. Keep your spine and pelvis neutral. Don’t push beyond what you are able. 1. Stand with feet shoulder width apart, toes following knees. 3. Pause at bottom, keeping feet flat on floor. *Try 2-3 sets of 15-20 repetitions. In addition, “all-fours” positions are fabulous for birthing and women left to their intuition often birth in this position. Many care providers notice that hands and knees positions can help in properly positioning a baby when done during pregnancy and even during the birth. They can also make labor more comfortable, particularly back labor. Practicing things like the quadruped or pelvic rocking can help prepare you in many ways. Exercises like this help strengthen your body so that you can function better in pregnancy and during your birth. 1. Start on all fours with hands directly under shoulders and knees directly under hips. 2. Activate core and glutes. 3. Keeping back and hips level, raise arm and opposite leg straight out. Relax shoulder. 6. Return to starting position and alternate sides. *Important to keep spine straight and not twist or shift hips. Pregnancy and birth are miraculous and under-appreciated times in our life. Opinions are pervasively negative regarding the functioning of our bodies during pregnancy. But knowledge, effort, and some labor can help prepare our bodies, ease the burdens placed on them, and help us enjoy the amazing moments of pregnancy and birth a little bit more. 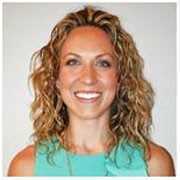 Katie Dudley is responsible for the new and improved exercise and nutrition program in the Birth Boot Camp 10 week educational series. This article is just a tiny taste of what she has created for our students. Her amazing program appears in our new online classes and our new work book for students (the “Field Guide) and includes myofascial release, stretching, exercises, postural support, nutritional awareness and charting and much more. You can find her at Cornerstone Integrative Fitness and Wellness in the Atlanta, GA area and weekly in your online classes!